Singer and actress Natalie Bassingthwaighte, and her husband Cam McGlinchey, welcomed their second child yesterday, May 21, and have named their son Hendrix John Hickson. Hendrix McGlinchey was born in a Melbourne hospital, and joins big sister Harper, aged 2. Natalie was the lead singer of pop band Rogue Traders until she went solo in 2008. Rogue Traders had many successful singles, and their album Here Comes the Drums went platinum four times over. After leaving Rogue Traders, Natalie performed songs and duets for several compilation albums, then released her first solo album, 1000 Stars. It debuted at #1 and was certified gold; her single Love Like This was used to raise awareness by the Aids Council of New South Wales. Natalie has also had a successful career as an actress, appearing in TV shows such as All Saints, Neighbours and Stupid, Stupid Man. She has hosted So You Think You Can Dance Australia, and is currently a judge on The X Factor. Natalie has also co-written a book with her sister for young girls on self-esteem issues: Sistahood: A Journal of Self-Discovery. Natalie is often known to fans as Nat Bass. Cameron or “Cam” was the drummer for Rogue Traders until he left in 2008. Since then, he has become involved with White Lion ROAR, an early intervention program working with at risk young people. He and Natalie started dating in 2006, and were married in 2011. Hendrix seems like a great music-related choice for a singer and a musician, and a good match with music-themed sister, Harper. Cool name! I had it in my head that she was having another little girly, and I think that’s because ages ago I dreamt she had a second child and it was a girl who she named Constance. 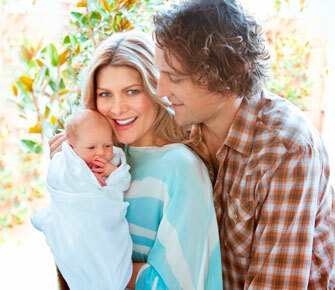 Anyway, congrats to Natalie, Cam and Harper, and welcome baby Hendrix!